The British Antique Furniture Restorers' Association is the foremost national organisation of craftsmen and women concerned to maintain the highest standards in the field of antique furniture conservation and restoration. Public awareness of the need for informed and sympathetic conservation of our heritage has increased markedly in the last few years. This is particularly true in the field of antique furniture. Over the years a large amount of poor work has been done on fine furniture by unqualified and unskilled people, sometimes causing irreversible damage. 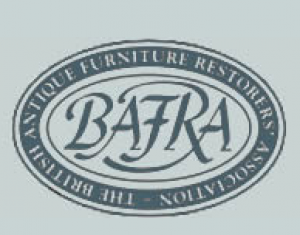 BAFRA was founded in 1979 to safeguard the interests of owners and buyers of antique furniture and the antique trade, as well as safeguarding the reputations of qualified and experienced furniture conservator-restorers. From this page you can find an accredited conservator-restorer in your area. You can also find out more about BAFRA as an organisation and more about events planned in the coming months. There are articles by members of BAFRA on furniture conservation and, if you are a furniture restorer yourself, you might want to find out about becoming a member.